The Well of Life Center is blessed by the opportunity to offer our clients, and our community, a place to find solitude and healing. Founded on the purpose that the body has the ability to heal itself, the Well of Life has strived to offer modalities that support this process. In keeping with these principles, Well Spa & Fitness provides services that are intended to be restorative, relaxing, and, most importantly, therapeutic. In this way, we continue to support and develop the intention behind our nutritional and chiropractic departments: to assist and support our clients with long-standing structural, physiological and emotional dis-ease. In so doing, we strive to help calm the senses and establish a new level of health and wellness. I hope you find your time at Well Spa & Fitness to be fruitful. We are looking forward to being part of your journey, as you discover a renewed sense of being in your journey to overall health. Catherine Van Schuyler has been a part of the Well of Life team since 2009. She has worked very carefully with Cynthia, the owner of the Well of Life, to develop and open Well Spa & Fitness to provide exceptional spa and fitness services to our clients and members of our community. Sophia brings great knowledge and understanding of holistic health care as it relates to Ayurvedic Medicine, Chinese herbal medicine, and Acupuncture. She practices from the approach that optimum health can be obtained by eliminating the root of the problem and balancing the body’s energy. Sophia has studied and practiced in India as well as New York and Pennsylvania. She specializes in Acupuncture, Facial Rejuvenation Acupuncture, and Cupping. Gina Burke came to Well Spa & Fitness in January of 2018 as a licensed massage therapist, specializing in pain and injury. Gina has been a massage therapist since 1994. She has close to 40 certifications and specialty training in massage and bodywork. Her approach to her sessions is to customize every session to each client’s needs, every time. Christine joined our team at Well Spa and Fitness in January 2018 as a massage therapist. Melissa graduated from the Baltimore School of Massage in 1996. 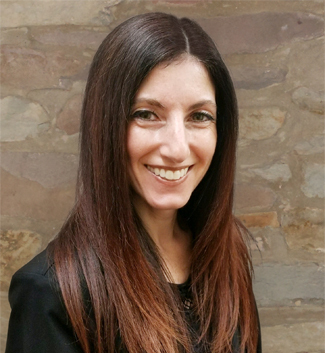 After practicing as a massage therapist for 18 years, with a focus on trigger point therapy and myofascial release, she went back to school to pursue an associates degree in Applied Science from Mercer County Community College and graduated as a Physical Therapist Assistant so as to expand her scope of practice. Andrea comes to Well Spa & Fitness with 11 years of experience as a licensed Esthetician. Andrea graduated from The Vision Academy in Allentown, PA in 2006. She has a passion for healthy skin along with advancing skin care technology, not only for herself, but for others as well. She believes in personalized treatment plans and products that produce proven results. She also believes a regimented skin care routine that includes home maintenance in combination with facial services delivers the best outcome. Tanya first came to yoga looking for a different form of exercise and quickly realized it is so much more. After practicing yoga, she noticed she did feel stronger, but also lighter and at peace. No other form of exercise gave her that. She wanted to deepen her practice and understanding of yoga, and took the 200 hour Yoga Alliance-approved teacher training under the direction of Elle Kaplan, and actually began teaching two months into the training. Tanya teaches from a place of fun and caring. She begins with the foundation and builds the pose from the ground up, focusing on alignment, the breath, and finding the balance between effort and ease. Sharon began working at the Well of Life Center in August of 2015 as a Ballet Barre and Mat Pilates instructor. She trained at Bravo! Dance in Wilkes-Barre, PA under the direction of Trinette Singleton, formerly of Joffrey Ballet. Sharon has a B.A. degree in Performing Arts with a focus in Ballet from La Roche College in Pittsburgh, PA. She has performed with Roxey Ballet, Repertory Dance Theatre, Bucks County Playhouse, and Washington Crossing Open Air Theatre. In 2014, Sharon received her Pilates Mat Certification from the Kane School offsite campus in Doylestown, PA under the training of Barbi Fury. Barbi loves working with clients at all levels, from beginner through advanced, but her specialty is working with the injured client, whether that client is dealing with a chronic physical condition or more recent acute injury. She enjoys the challenge of evaluating the physical body when it is not working in an efficient and balanced fashion, and then devising a plan that will help to stabilize, strengthen, and regain healthy functional movement to the injured area and balance to the whole body. Barbi Fury was trained and fully certified through the Kane School of Core Integration in New York City and holds additional certifications in Prenatal Pilates, Pilates and Osteoporosis, and Post-Surgical Breast Cancer Pilates. Class sizes are kept small to allow for more personal experience and a deeper connection to the body and the core principles of the Pilates method. Her understanding of anatomy, biomechanics, and common injuries will make even the most hesitant client feel confident that they can have a safe movement experience while building strength, balance, coordination, and body awareness during a class or private session. Dana began working at the Well of Life Center in January of 2017.